Softcover. Princeton, The Pyne Press, 1st, 1971, Book: Near Fine, Dust Jacket: None, Softcover in near fine condition. Part of the American Historical Catalog Collection. 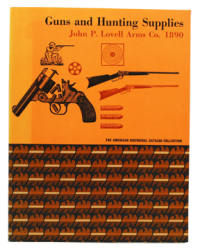 An illustrated catalogue and historical introduction to John P. Lovell Arms Co. of Boston, MA.